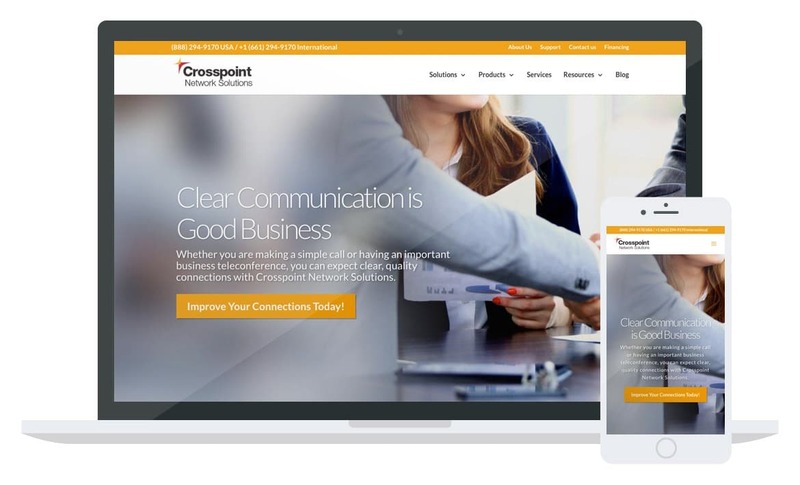 Shift Media did a complete redesign of the Crosspoint Network Solutions website. The end result was a nimble, sophisticated, and easy to use website. This makes for a wonderful User Experience. The clean aesthetic provides a refined and polished look allowing for easy reading of information and navigating through the page content. We also took note of the Crosspoint Network Solutions color palette and made certain to carry over the theme for a cohesive web solution that matches the clients branding.